What if your car insurance rate was truly dependent on how well you drive? I’m not just talking about number of years without a traffic accident or speeding violation, I’m talking about a comprehensive report card and a driving score that is produced after every road trip. There’s been an interesting trend in the auto insurance industry of late as companies have been examining ways to create usage-based coverage. Everyone thinks of themselves as safe drivers and with usage based rates, they’ll have the chance to prove it. Leading the way with this initiative is Allstate’s DriveWise program and Progressive’s Snapshot. 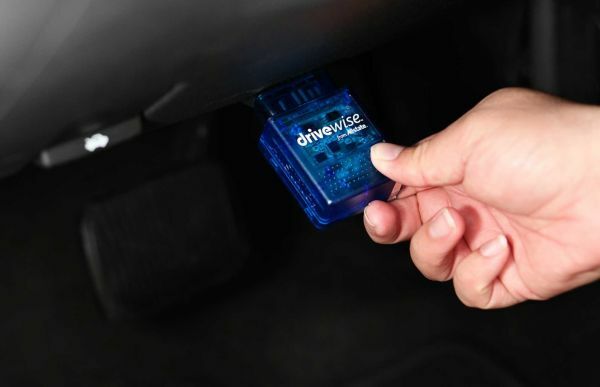 DriveWise is a program that provides savings based on driving patterns and also provides feedback via an online performance report. The potential for savings is significant, with 10% off the premium just for using the device and up to a 30% discount based on your Performance Rating. The Performance Rating is calculated on four main factors: low mileage, safe speed, safe hours and safe stops. Weekdays between 11pm and 4am and weekends between 11pm and 5am are high risk times. If you don’t typically drive after 11 at night, your Performance Rating will increase. Avoiding hard or extreme stops. Recently, Progressive has launched an ad campaign promoting their Snapshot device and touting “Rate Suckers”, those bad drivers that jack up your premium. The Snapshot program seeks to separate the good from the bad and reward those that drive well. It uses a plug-in device that collects data for 30 days, viewable online, with the key areas for savings focusing on how often you slam the brakes, how many miles are driven and how often you drive between midnight and 4am. Progressive advertises savings up to 30% off the premium. The biggest question I had about these programs was if they use the data to penalize drivers. I’ve been driving for only a few years and I’d like to say I’m a great driver, but maybe, perhaps, on occasion, I drive a little faster than I should. I also don’t want to have to worry about whether or not I should drive late on a Friday because my rate might go up. There is mixed news on that front. The good news comes from Allstate, who say that the data collected in the Performance Rating cannot be used to increase your premium; worst case scenario, you simply don’t qualify for the discount. The bad news comes from Progressive, as they use this data to adjust your premium up or down depending on whether you are the “rate sucker”. Of course, usage-based rates come with a price; the price of privacy. In order to accurately gauge your usage, car companies will essentially be spying on you every time you drive your car. They will know whenever you drive, how fast you’re driving and where you’re going. For some, this has alluring implications. The parents of teen drivers around the world may rejoice at the thought of knowing exactly where their children are at all times, being able to view their driving habits and then coach them when they get home. Think of conversations like: “No rolling through that stop sign at the intersection of Boardley and Farmersville! Do you know how many accidents they’ve had there??”. Allstate has announced that they plan on using other value added services that will come from a connected car, including products that would allow a grading system for teen driving. Giving information in return for cash seems to be the big trend right now and it’s hardly surprising that this type of data collection is becoming popular. Stores around the world offer “store cards” that keep track of spending habits and private information in exchange for discounted prices and it appears this business method will only become more prevalent. This screams Big Brother to some privacy advocates while for others it’s an easy way to get rewarded for low risk driving behavior and save some cash. What are your thoughts? Is it worth it to sacrifice a little privacy for discounts?